We’ve done a lot of work with markets, retailers, and local newspapers and wanted to compile some details that can help in promotion. You can feel free to copy and paste the background or use the photos and captions below. If you have more questions, contact us at rplusddesigns@gmail.com. We’re R+D, pronounced “R plus D” and written as “R+D”. Our tagline is “Kitsch, Please”. R+D provides a world of bold and kitschy 3D printed jewelry. Rebekah is the designer and creator behind R+D. Each piece is produced on one of three printers using a plant-based material. Read more about 3D printing. Which is greater; your love of coffee or classic New York icons? R+D creates kitchy 3D printed earrings for all tastes and styles. 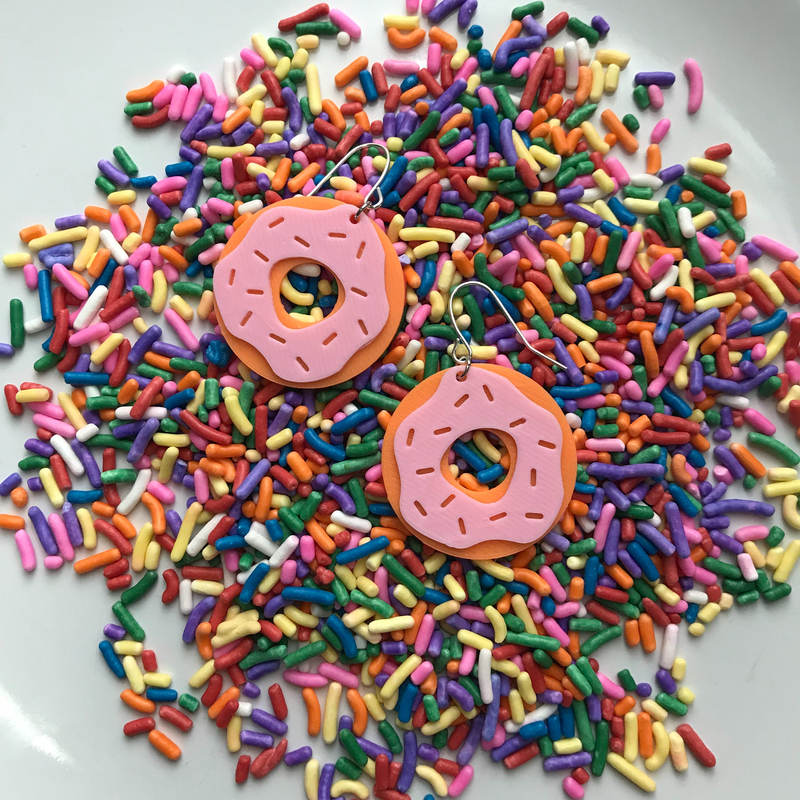 Your day will always be sweeter with these donut earrings. 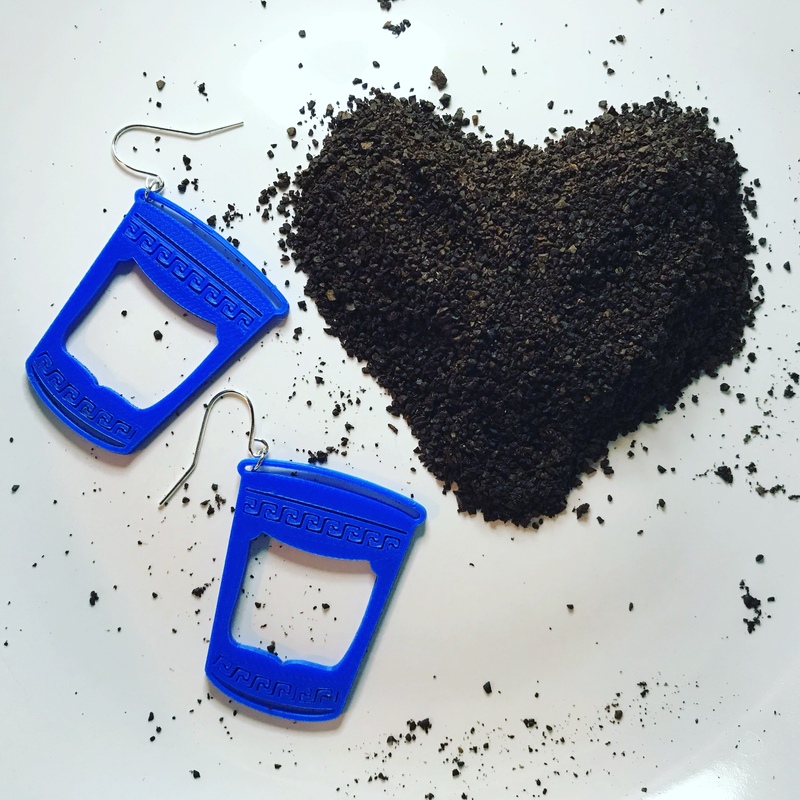 R+D creates kitchy 3D printed earrings for all tastes and styles. 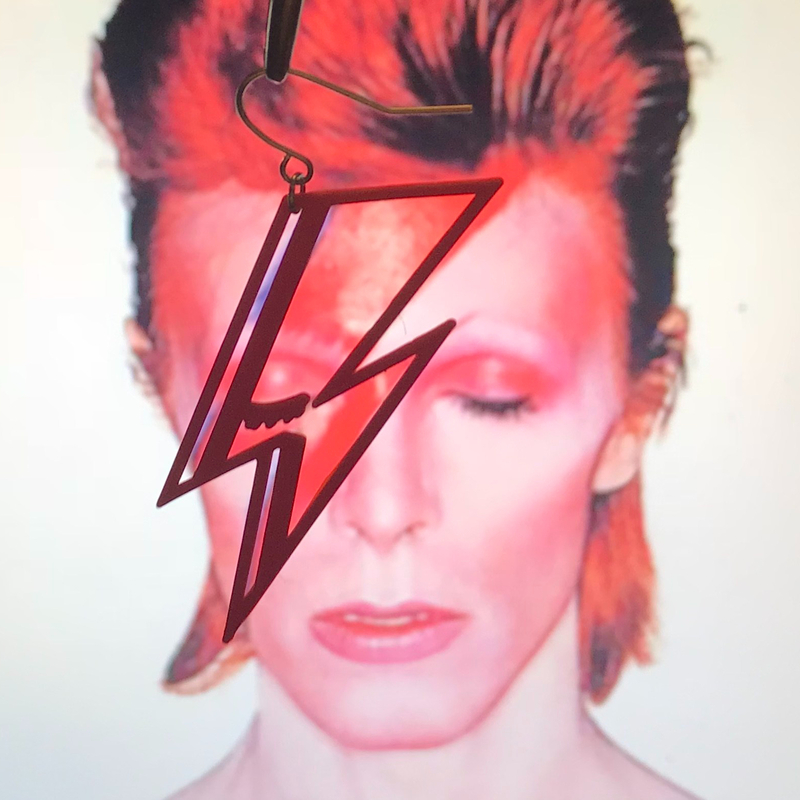 Celebrate musical legends and find your own glam rock alter ego. 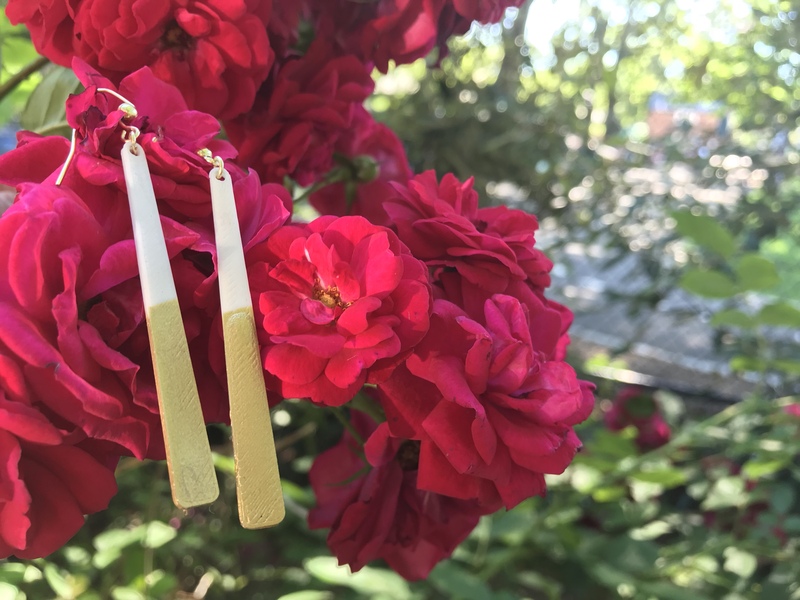 R+D creates kitchy 3D printed earrings for all tastes and styles. Finding a simple earring that becomes a wardrobe staple can be difficult; until you found these. R+D creates kitchy 3D printed earrings for all tastes and styles. Need a different size or configuration? Just let us know.